Any traveler who has hit the rails with Amtrak in the past to explore the United States knows the views along each route are the highlight of any journey. With the return of the Great Dome Car, the views have never looked better. Starting on August 11 and running through September 23, the Great Dome Car will be found along the Downeaster route. With a journey across New England to end the summer and start the fall, passengers will be able to view the landscape in more vivid detail. Following the time on the Downeaster service, the Great Dome Car will be transferred to the Adirondack route for the fall, running between September 27 and November 2. 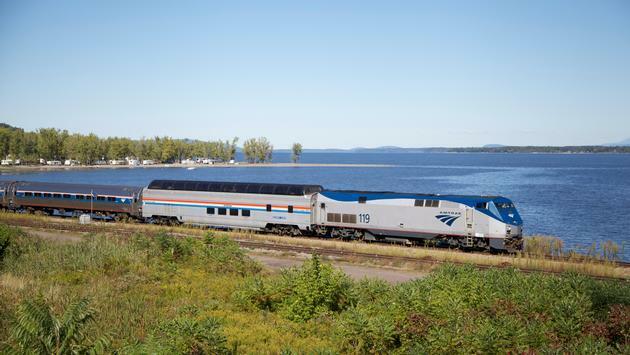 Passengers will be able to enjoy the changing tree colors and Lake Champlain vistas as they travel from Albany across the Canadian border to Montreal. The Great Dome Car is available to all passengers on a first come, first served basis, and dates and availability are subject to change without notice.